We've all heard of vacations and staycations, but what about a fauxcation? This summer makeup look is so glowy and bronzed people will be dying to know where you've been! And I've got a new self tanner on my bathroom counter that blows every other self tanner I've tried out of the water. 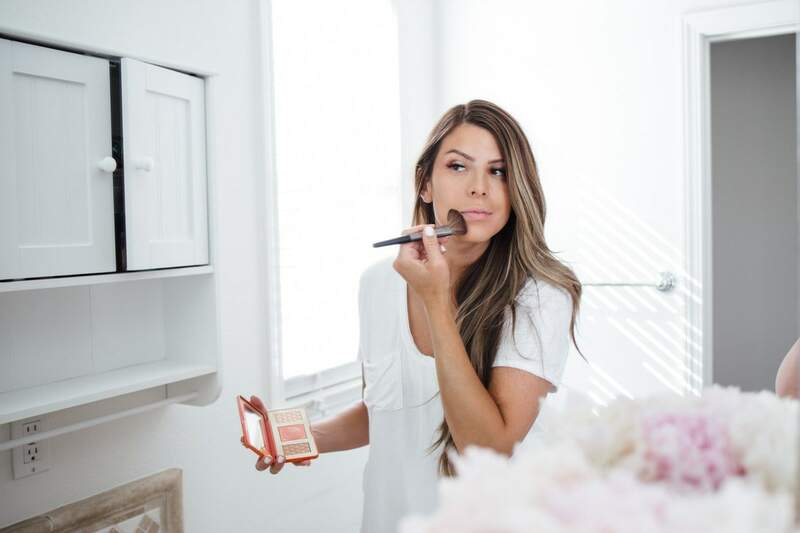 You know I love to keep things simple, neutral and natural looking when it comes to makeup, but these beauty products take that look to 100. This self tanner is the MVP of this makeup look. One of the first times I used it my assistant and photographer literally gasped when I came out of the bathroom and said it literally looked like I had just spent two weeks in Tahiti. Yes, it's that good. It works super quick and comes out the most perfectly natural, bronzed color. Did I mention that comes with a mitt for flawless application and has ZERO scent? That means nobody will know it's a faux tan except you! It also DOES NOT come off on clothing. I put this white shirt on maybe 5 minutes after applying and it didn't rub off at all. As for staying power, I used this self tanner twice in a week (as directed) and I kept this same glowy tan the entire week! I'm honestly more impressed with this tanner than any other at-home self tanner I have ever used, EVER. And that's saying a lot since I've tried dozens! 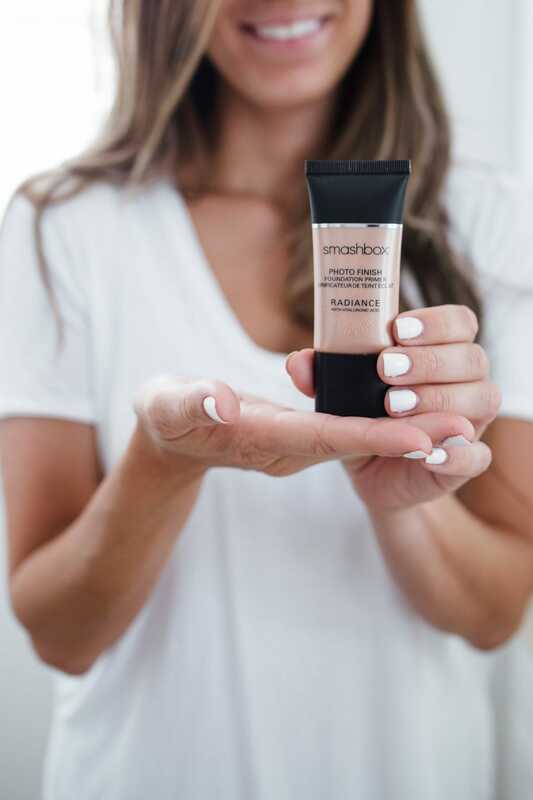 This primer + the foundation is the ultimate tag team for that summer perfect glow. 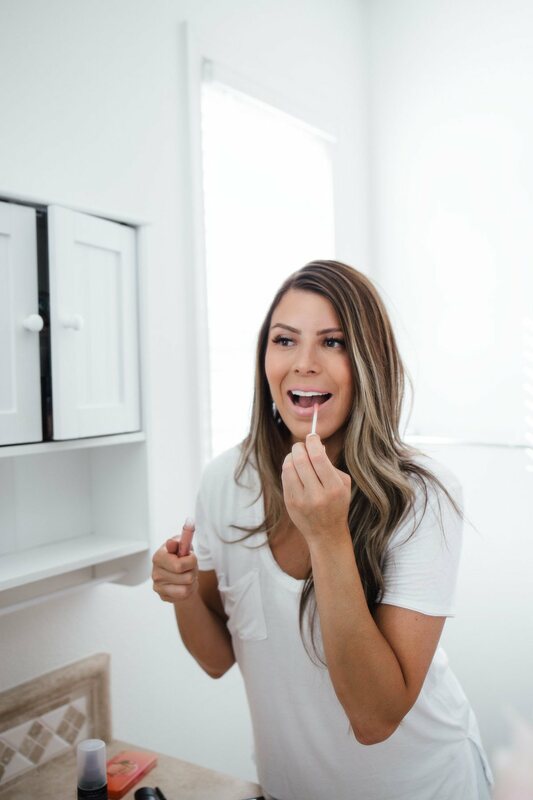 The primer is super, super hydrating and has a super gorgeous subtle tint for the days you don't want to wear any other makeup over it! On the days that you want to take it up a notch it's the perfect thing to even out your skin tone and preps it for makeup. This foundation has literally won awards. That's how amazing it is. 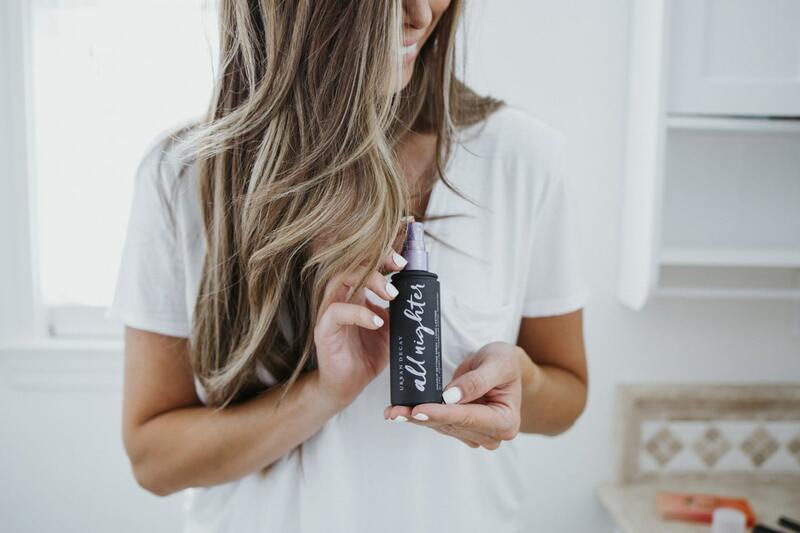 Allure and InStyle both love it, because it does four phenomenal things: it perfects, it hydrates, it protects with SPF 35, and it controls oil! It's working hard to make you look goooooood. 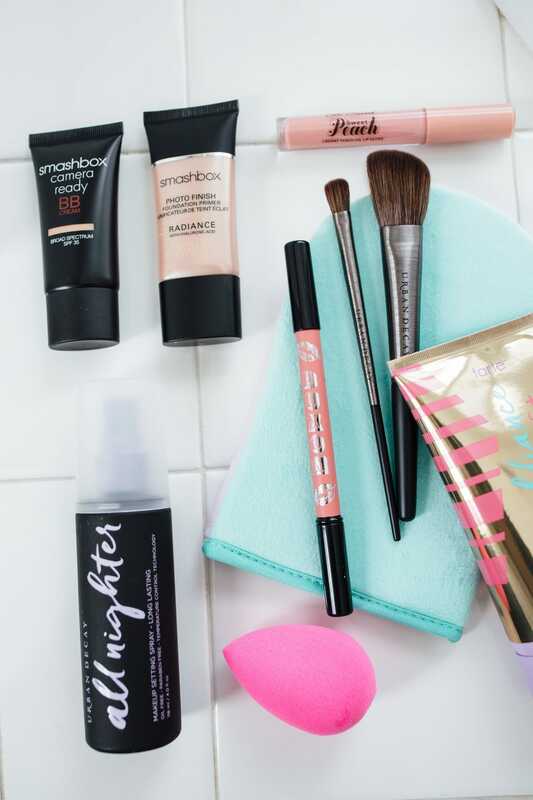 It has the perfect amount of buildable coverage that one of my favorite little beauty tools the beauty blender is amazing at. You guys already know I adore Anastasia for brows, but did you know they also make a mean eyeshadow? Perfect five-star review eyeshadow! The colors pop and they wear beautifully. They're super blendable and buttery and there is almost no fallout with application-especially if you start with a good eyeshadow primer! 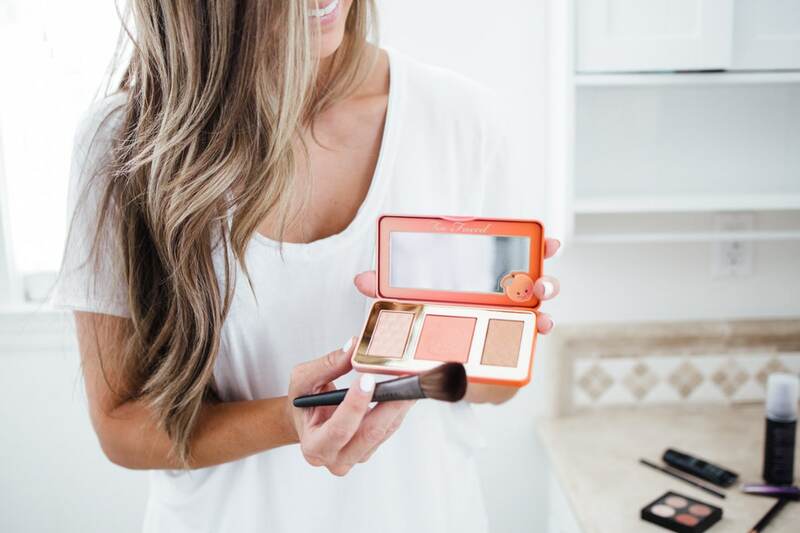 This blush and bronzer palette just screams summer skin! 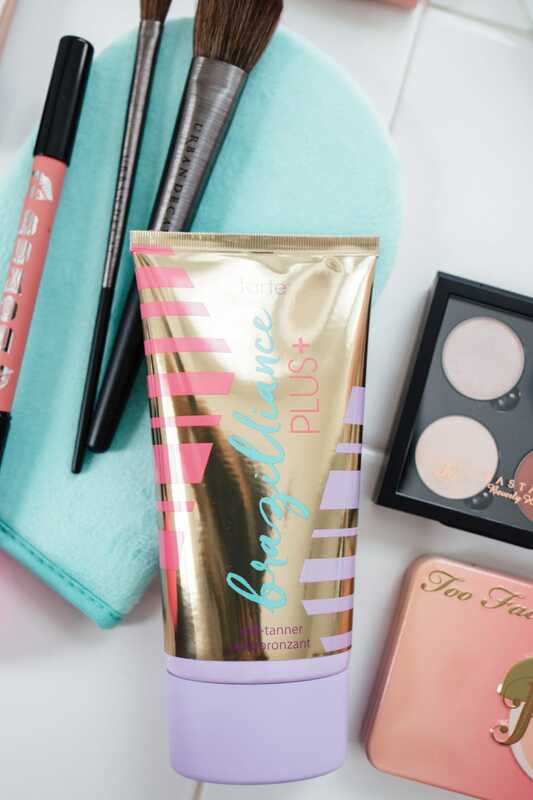 It gives your skin the perfect soft bronzed glow. And it smells like peaches!! Tell me that you're back on lip liner too! One of my fave makeup hacks is to completely fill in the lips with a liner before layering gloss on top. This one is especially amazing, because it plums! And it goes on really creamy so it's super easy to fill your entire lip with this color. This lip oil looks great, smells great, and tastes like peaches!! I mean really what more could you want from a lip oil? The color is super subtle and it's super hydrating so it's the perfect thing to throw on top of the liner! And just to make sure my makeup stays in place, I always, always finish up with setting spray. 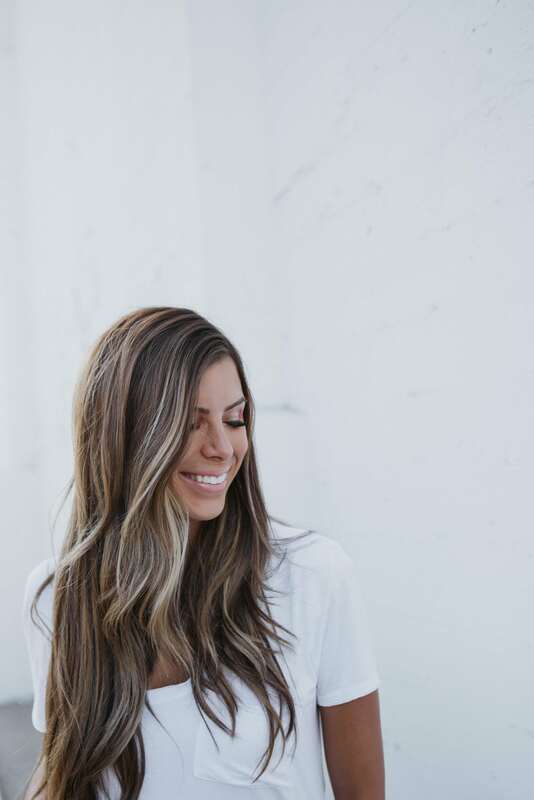 This setting spray is one of my faves and has been in my makeup bag for years now! This “just got back from vacation” makeup look is so easy and achievable. It seriously only takes me under 10 minutes because it's pretty minimal makeup but it just has the prettiest summer glow, even if you've been spending days out of the sun (like me haha). See everything I used below! 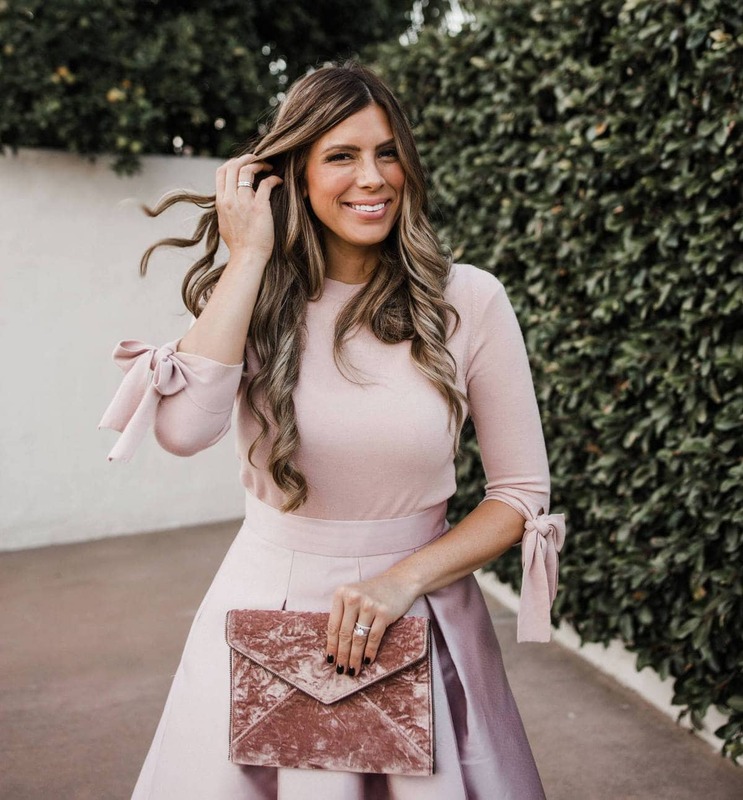 Thanks Macy's and ShopStyle for sponsoring this post! Haha! I’m not sure, it’s hard to say honestly but maybe like 15-20? It’s a pretty big bottle, I’ve used it 3 times now and barely made a dent in it! Did you use the tanner on your face?